Felt buttons in jazzy Autumnal colours of chartreuse, plum and turquoise. 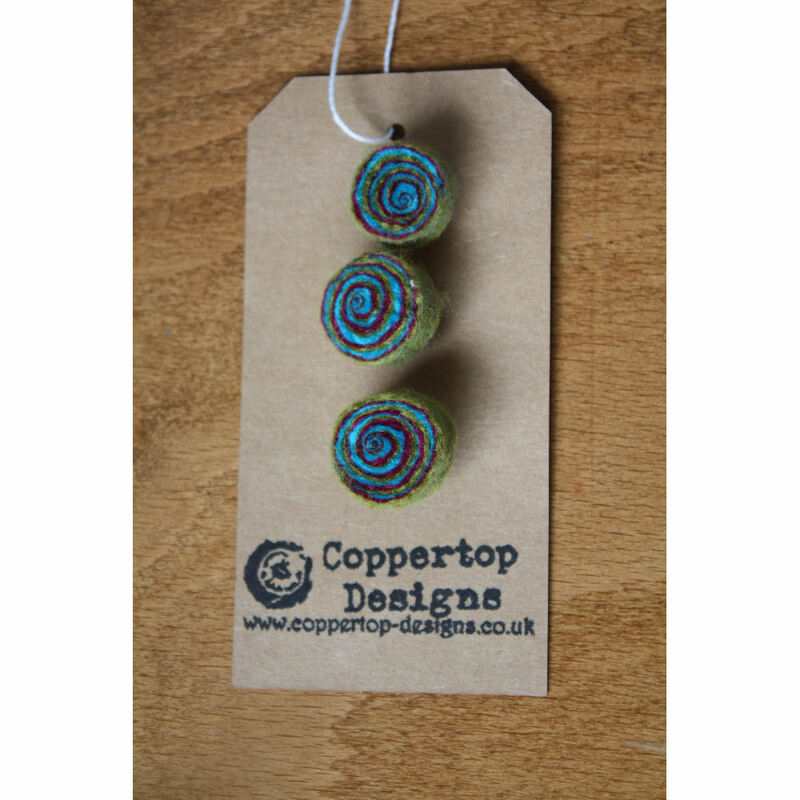 Hand made felt swirls attached to a silver coloured metal button back. You can securely stitch them on to any item to give it a bespoke look. A perfect seasonal update to your favourite cardigan or handbag. Varying sizes from 17mm to 22mm. Product code -FB JA ND 0811.